From new Mercedes-Benz Sprinter Cargo Vans to Mercedes-Benz Sprinter commercial vans, we have the right new commercial vans that your small business or company needs. Our Mercedes-Benz dealership near Middletown, NJ, has an extensive selection of new Mercedes-Benz commercial vehicles for sale that fit all types of work, budgets, and needs. Whether you want to finance a new Mercedes-Benz Metris Cargo Van to transport gear and goods around New Jersey or your company needs a new Mercedes-Benz Sprinter Worker Cargo Van, you’ll find it at Contemporary Motor Cars. We also sell top picks like new Mercedes-Benz Sprinter Cab Chassis models and Mercedes-Benz Metris Passenger Vans if your business has more specific needs! What Type of Work are Mercedes-Benz Vans Designed For? Want to test-drive a new Mercedes-Benz commercial van? Visit our New Jersey Mercedes-Benz dealership now to learn more about Mercedes-Benz Sprinter Van specs, Mercedes-Benz Metris Van prices and much more. 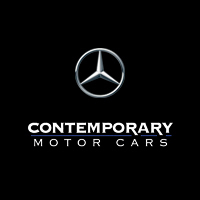 Contemporary Motor Cars also offers the Mercedes-Benz Fleet Program, which allows qualifying corporate customers to build their commercial fleet with special Mercedes-Benz incentives. Mercedes-Benz invented the van over 100 years ago and has continued to lead the way in producing high-quality commercial vans for all types of work. The goal for Mercedes-Benz has always been to create vans that deliver an exceptional level of performance, durability, and safety to every owner. Research new Mercedes-Benz Sprinter and Metris Vans now to find the right one for you!